Actually it became a little bit more than a dictionary. 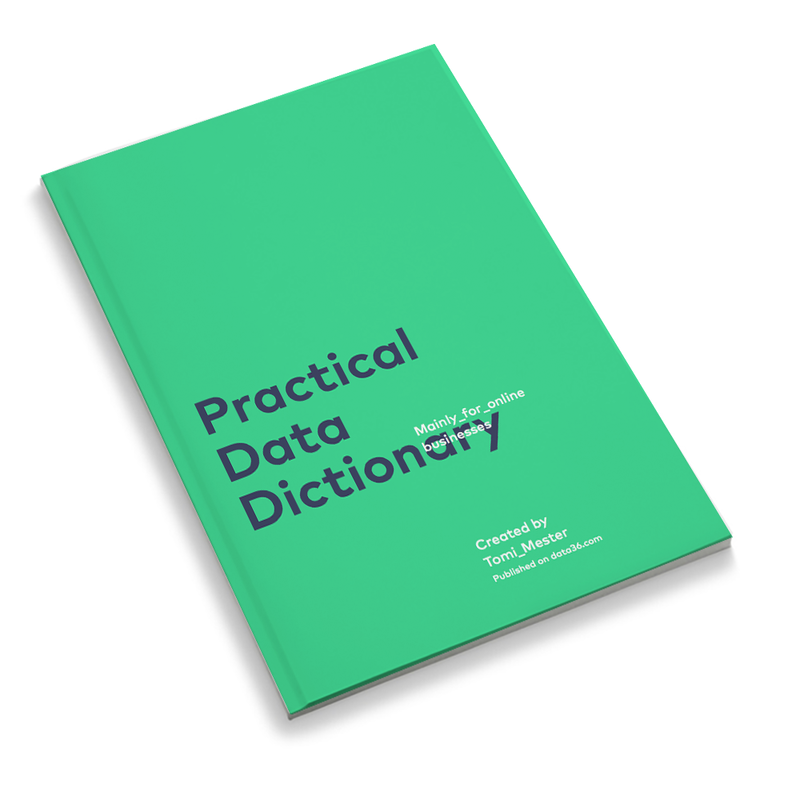 It gives you a lot of examples and case studies, and explains why, how and what you should do, when you are dealing with data. I think it helps a lot for online businesses to start being data-driven – or take it to a next level. Thanks, if you are sharing it on your social channels (eg. on Twitter: Tweet or Facebook below) or simply sending it to a friend in e-mail. At the same time, if you would like to be notified about cool data related content like this (articles, videos and handbooks), you can subscribe to my Newsletter. I send here only useful information. Susbscribe to my Newsletter to get notified about my new educational materials (articles, videos, online courses and more) and other useful information regarding data science.